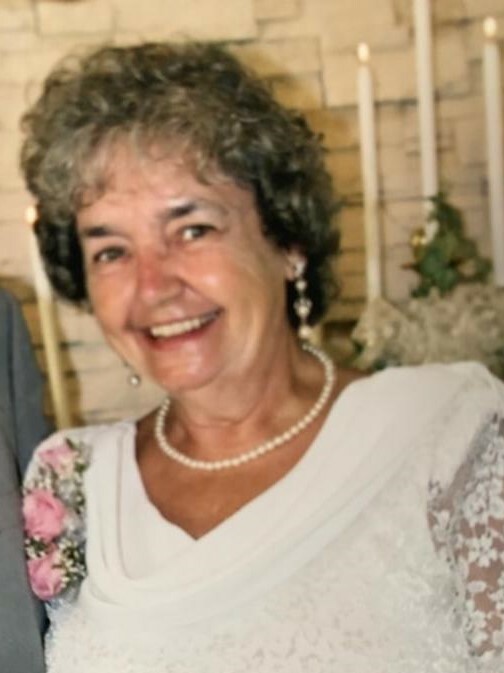 Rita Theresa Hendricks, 77, of Indianapolis, passed away on Friday, April 5, 2019 in Franciscan Health. She was born on July 24, 1941 in Indianapolis to the late Lawrence B. and Theresa L. (Raja) Weimer. She attended Sacred Heart Elementary School and graduated from Manual High School in 1959. She was a loving wife and mother and she enjoyed bowling. Survivors include her loving husband, Earl W. "Bud" Hendricks; children, Dennis L. Brown (Karen), Renea E. Gard (Robert) and Ron E. McGuire Jr. (Ginger); sister, Margaret A. Vance; and numerous grandchildren and great-grandchildren. She was preceded in death by her parents; siblings, Lawrence V. Weimer, Jeannette M. Weimer, August N. Weimer, Rachel M. Weimer, Eugene F. Weimer, Donald J. Weimer and Carolyn M. McMullin; and granddaughter, Mercedes McGuire.